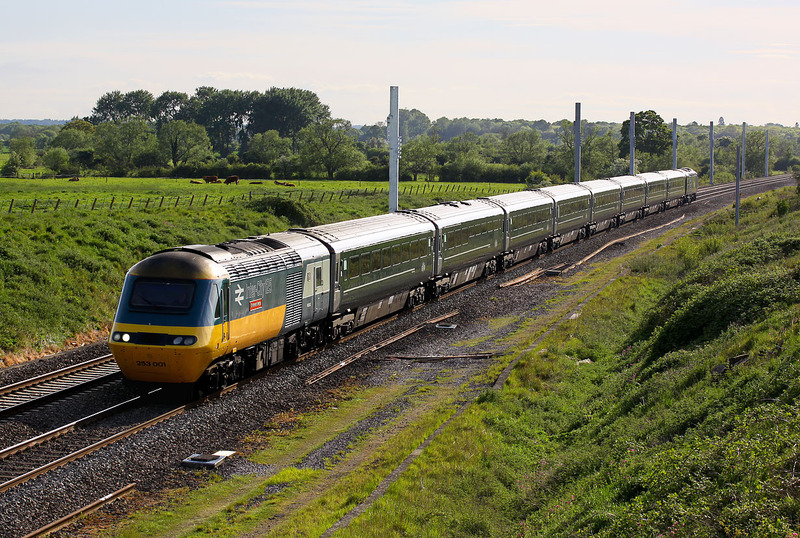 43002 Sir Kenneth Grange passes Compton Beauchamp on 13 May 2017 with the GWR 1Z67 15:55 Bishops Lydeard to Paddington 'Somerset Explorer' railtour. Newly repainted 43093 is on the rear of the train. Originally the train was booked to travel along the West Somerset Railway to Minehead, but gauging issues resulting in tour participants travelling to the town behind D1010 Western Campaigner insead. Normally I would I have travelled to Somerset to photograph this, but I had only just returned from the Isle of Man, so this backlit local picture will have to suffice.